There are a few live cams on the Great Lakes that I monitor daily. In mid December, there was some shore ice in the Western basin of Lake Erie, but in melted by the end of the year. Fast forward to about 2 weeks ago when it turned cold again. In the last 2 weeks, they had blizzard-like conditions, then it turned bitterly cold and there was more ice. 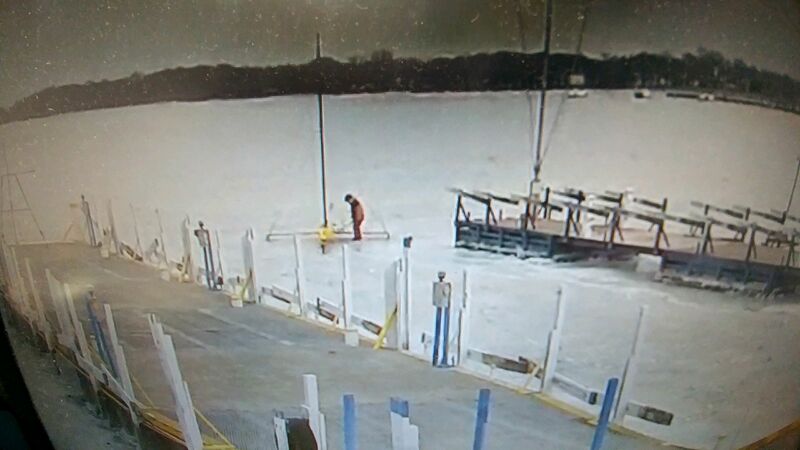 Although much of the ice has again melted, PIB still has ice. Enough to ice sail. I am not sure how fast they go, but this guy was moving. He was out on the ice for several hours. Does anyone here ice sail? The lake I live on Missouri has likely the most southerly concentration of iceboats in the world. Probably about 30 iceboats. I crashed my Arrow iceboat going about 40 MPH about 25 years ago. Sailed onto thin ice that grabbed my runners bringing me to an abrupt stop. Broke my fibula and my ankle out of its socket. Had to have a screw put in there. 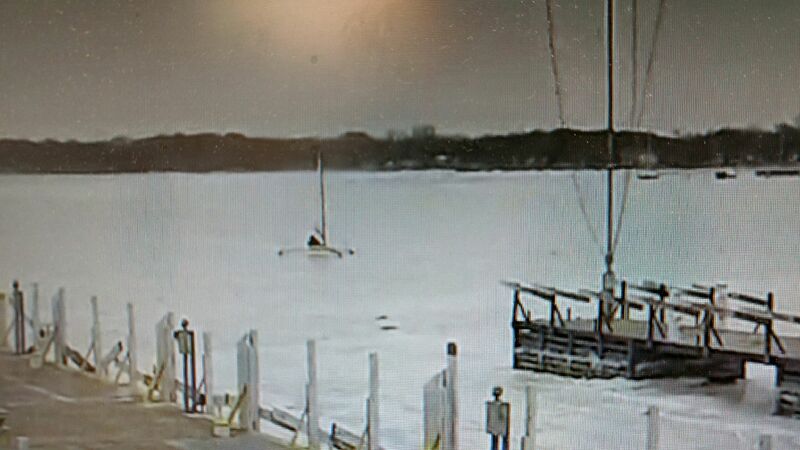 Going to watch iceboat races on Lake Monona in Madison Wisconsin tomorrow. I love to sail, but the notion of going out in an iceboat when conditions are cold enough to freeze large bodies of water, and you have enough wind to sail (read: WINDCHILL)...hmmm, I'm not so sure about that. Wait, yes I am. No, thanks! I had no idea it is this big. I really had no idea how fast they can be.